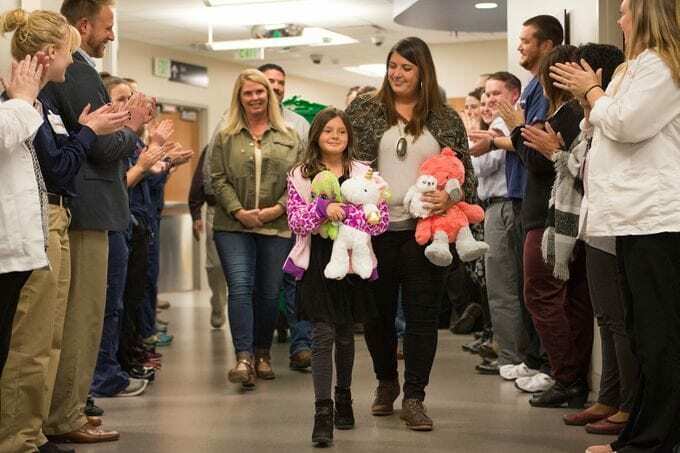 When 8-year-old Marlie Walker lost her father last summer, she remembers being given a stuffed toy by UCHealth Nurse Reatha Blumenthal as a way to comfort her. “We try and make them feel as at ease as we can and try and take some of the scary aspects out of being here. We understand how difficult it can be,” said Blumenthal. Although it has been difficult to adjust to her father’s passing, Marlie has not forgotten the kind gesture and how it comforted her in a difficult time. 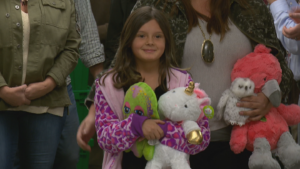 As a result, the Colorado girl decided she wanted to help other kids who are going through trauma and loss by creating the Stuffies for Emergencies campaign. Marlie said that she doesn’t want other kids to have to go through what she did without the same comfort she got from that kind nurse. “I want the nurse to give them a stuffed animal, too,” she said. Marlie’s organization had an ambitious goal. She wants to collect at least 500 new stuffed animals for children who visit the emergency room of UCHealth Poudre Valley Hospital in Fort Collins, where she was months ago when Nurse Blumenthal helped her. The response was even greater than Marlie had hoped: A total of 616 stuffed animals were donated for the program, exceeding Marlie’s goals and ensuring that other children would have the same comfort that she had through the gift of a new plush friend. Marlie was extremely excited that her efforts had helped to ensure that other kids could feel a little better during difficult times.